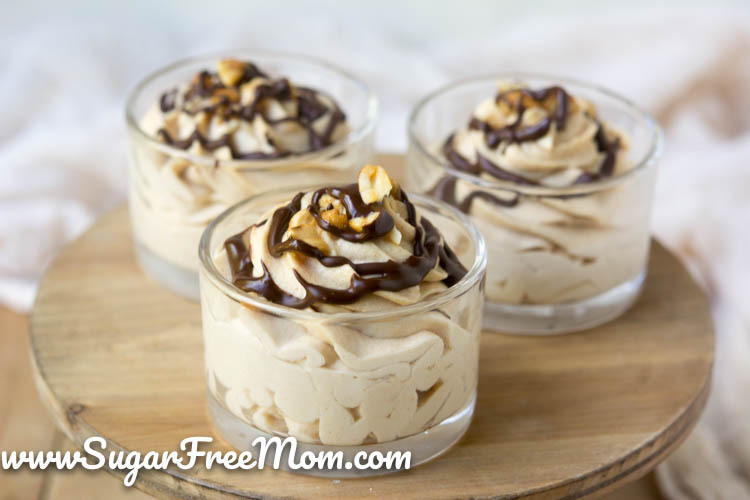 This Easy Recipe for Sugar-Free, Low Carb Peanut Butter Mousse takes just minutes to prepare and requires just 4 Ingredients! 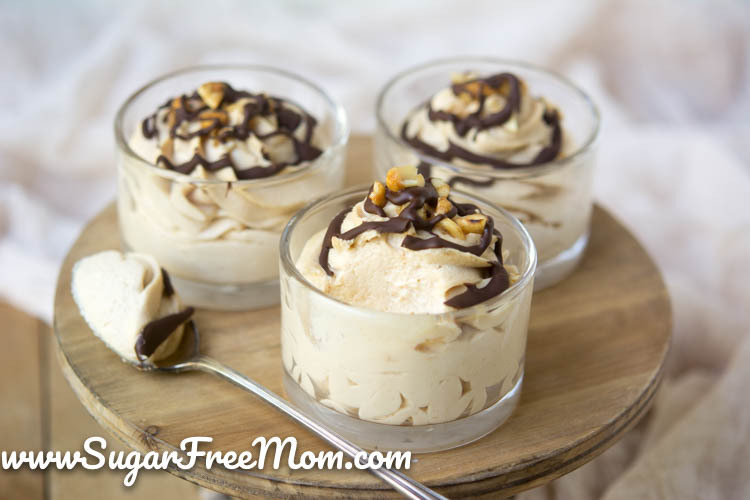 Easy substitutes to make this Peanut Free! 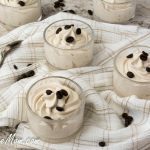 When you take just 4 simple ingredients and can turn them into a no bake dessert that tastes like a peanut butter cup in creamy mousse form, it’s priceless! If you’re all ready on board with a low carb, sugar-free way of eating these ingredients will all ready be in your fridge and pantry. With one simple substitute you can also make this peanut free if needed! 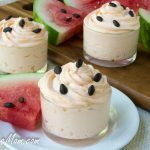 I adapted my No Bake Peanut Butter Cheesecake Mousse Pie to make this easy recipe for you today! No crust needed! Toppings are optional! 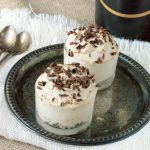 Making no bake recipes in the summer is how I like to roll! 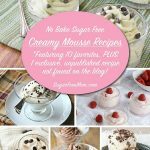 Actually I like no bake recipes any time of year and mousse is my favorite! Nothing artificial, no additives, just simple and spectacular for a mousse that will have even your non sugar-free friends won over! No Sugar Added Peanut Butter isn’t hard to find in most markets today. I usually buy it at Whole Foods, but online through Amazon, this is the Peanut Butter brand I love, nothing but peanuts and salt and super creamy. If you’re not a fan of peanut butter, you can simply swap it with your choice of nut butter, like Almond butter, Cashew butter or Sunbutter made from sunflower seeds for a nut free version! 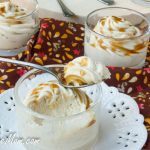 My boys couldn’t try this dessert because they have peanut and tree nut allergies but my hubby, sister in law and daughter were the taste testers. 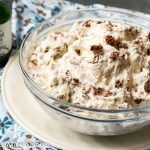 He thought is was so peanut buttery and did not notice any aftertaste which seems to always be his problem with stevia when I make a no bake recipe like this. He was pleasantly surprised! My daughter and sister in law absolutely loved it as well! Winning for all of us! Whip the heavy cream in a stand mixer with the vanilla stevia or your choice of sweetener to taste. Once whipped remove and set aside. 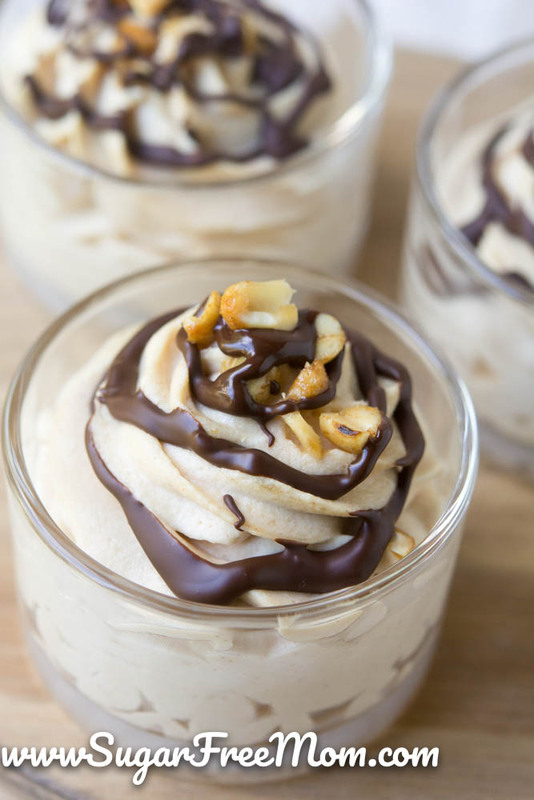 Add the peanut butter and cream cheese together in the stand mixer and blend until smooth. Add back whipped cream into the stand mixer and blend until all incorporated. 5. Pipe into serving cups and refrigerate to set about 2-3 hours or overnight. Optional Toppings: Sugar-Free Chocolate melted over the top with some roasted chopped peanuts! These calculations, especially the carbs, are off. Making tonight! Where are y’all getting any carbs in cream? My carton says zero. 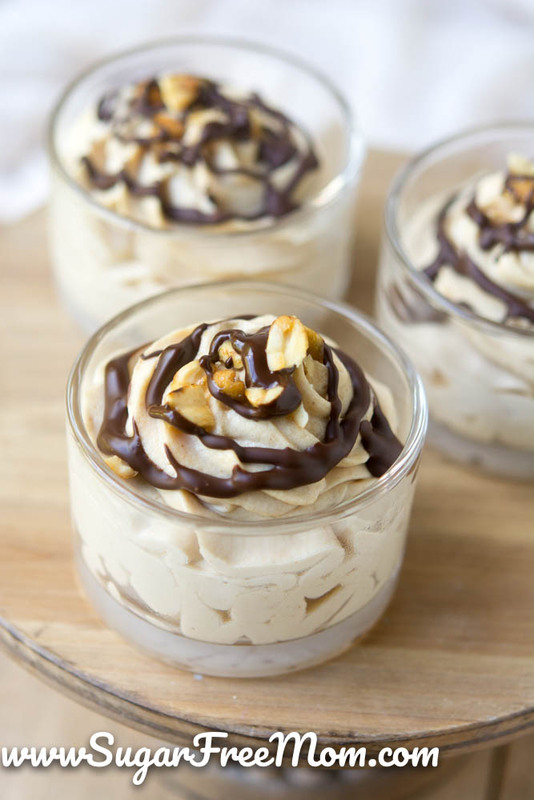 This mousse looks so yummy! My daughter will love it!. I am going to make it for her. Thanks for sharing! The recipe is yummy. Who cares about the carbs, they’re so minimal and its a treat anyway. Keep these recipes coming, love your site. How do you calculate the amount of Stevia to use (be it powder or liquid) when baking? Also, i am in search of a stevia product, powder and/or liquid that wont leave that bitter aftertaste and alter the foods but rather one that sweetens like sugar and still taste good in my baking of cookies, cakes etc. Often I use a combo of both to balance out the flavors nicely. I just can’t tolerate Stevia I can taste it through anything. You have any experience using Swerve instead? You certainly could use whatever sweetener you like. Just try a small amount maybe 1/3 cup then taste and adjust. I’d say use the confectioners Swerve not the granular. I use the Now brand and can’t tell it’s not sugar. I’m sure you could but I have no idea how much you’d need of the powder to get the same amount of peanut butter here. Also the powdered peanut butter has sugar in it so you would want to either eliminate or reduce the stevia here. Low fat products are bad for you. Read Fat for Fuel by Dr. Mercola or Keto Clarity. 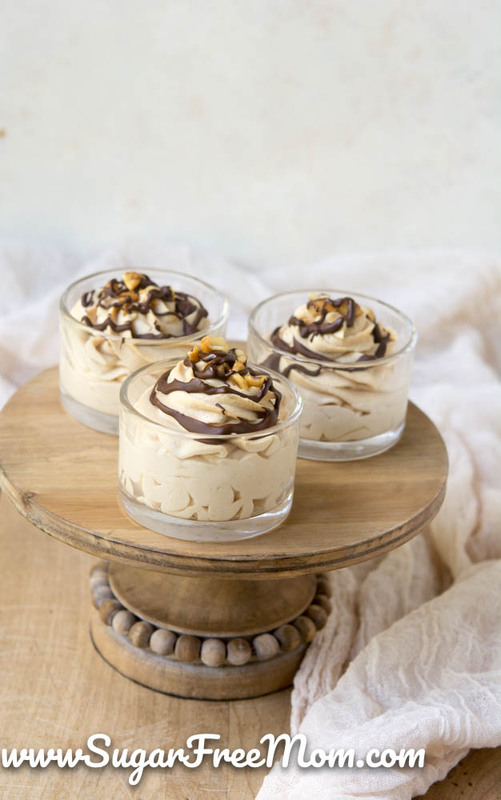 So, basically everyone wants a fat free, carb-less, non-legume-peanut mousse with fake sugar that tastes and acts exactly the same as real sugar and it has to be correct down to the tenth of a teaspoon? Can I use powdered peanut butter instead? If so how much? I happen to have a large container of it and trying to get the most use out of it. Please let me know! I’m sorry I don’t use powdered peanut butter because it contains sugar so not sure how much you could replace it with. I made a double batch and I enjoy it very much. Can you tell me, roughly, in cups, how much 3 ounces is? A little less than 1/3 cup. I just wanted to Thank you! I am 36 weeks pregnant and prediabetic. 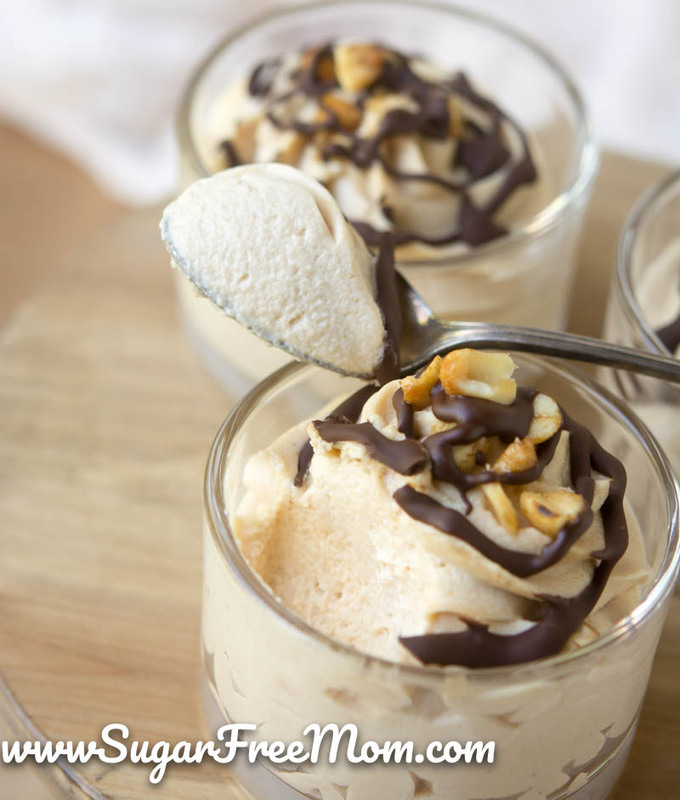 It’s been tough to say the least finding something to satisfy a sweet tooth. 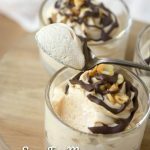 I just made this recipe today and it was AMAZING!!!. Plus it was easy to make. I plan on making others and continuing using after I give birth. Thank you for making my life a little easier these last few weeks. I don’t have Liquid Stevia , can I substitute it with swerve instead? If so how much? Maybe 1/2 cup Swerve confectioners then taste and adjust.